Shampoo and condition with some beer. 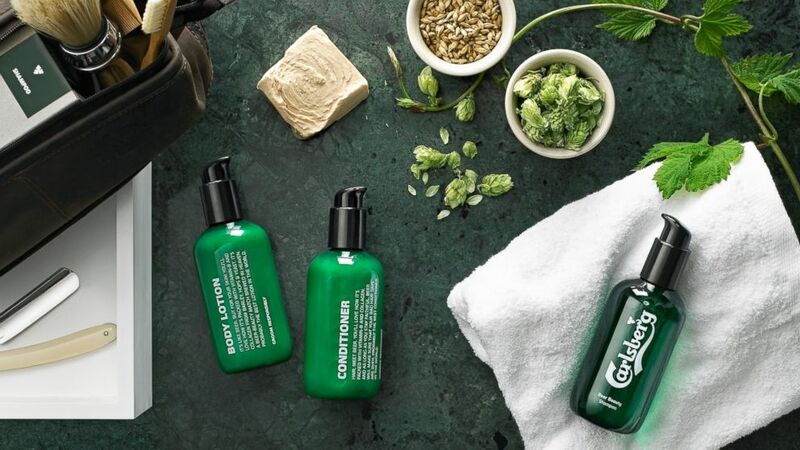 camera (Carlsberg) Carlsberg is debuting a line of men's beauty products made with its beer. Beer bros rejoice: you can now get more brew in your life in the morning hours in a socially acceptable way. 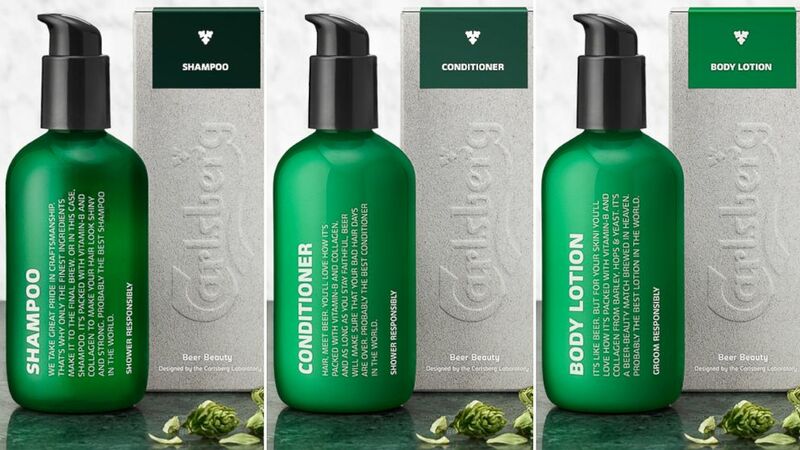 Carlsberg has launched a beauty series for men that includes shampoo, conditioner and body lotion. Each product in the line contains nearly 17 ounces of real Carlsberg beer. “The beer is freeze-dried into a powder, and then mixed with organic ingredients in order to create a unique series of products,” Carlsberg brewmaster Erik Lund said in a statement. A lot of the compounds in beer are good for the skin, according to Carlsberg’s director of research strategy Zoran Gojkovic. (Carlsberg) Carlsberg's shampoo, conditioner and body lotion. But Dr. Barney J. Kenet, a dermatologist at New York Presbyterian Hospital and Weill Cornell Medical Center in New York City, was skeptical of the beauty claims. “Their comments that the hops, yeast, B vitamins and silicium are nourishing to the skin is not really relevant to common sense," he said.